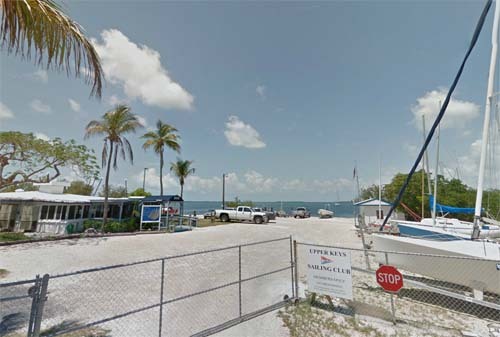 The Upper Keys Sailing Club is located at Ocean Bay Drive on Key Largo, Florida, USA. 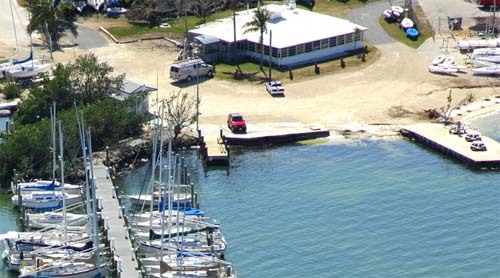 The Upper Keys Sailing Club was founded in 1973, and moved to its current location in 1977. Over the years, our sailing activities have increased and races are held with great frequency for large cruising class boats as well as small boats. Fleets have come and gone; in the 90s, we had large Flying Scot and Sunfish fleets; the largest fleet currently is the Hobie Wave fleet. Most racing sailors in the club enjoy racing small and big boats. They host several regattas for outside clubs during the year, including the Force Five Midwinters, a new Catboat Rendezvous, and the Buccaneers and Mutineers Dead Dogs & Tin Whistles Regatta. In 2005, Hurricane Wilma wiped out the club’s main dock and dinghy dock. Both docks were rebuilt with lightning speed, new dock pedestals with power and water were installed, and modern gratings were used instead of regular dock planking. In the past two years, a covered patio was built on the western side of the clubhouse, more than doubling the outside space of the club, and new high impact, insulated windows were installed. New kitchen equipment has updated our cooking area, the trophy case was moved to a featured location and an additional bar/eating/meeting table was created. As one member put it, Bill Ellis as Rear Commodore did a great job of building a new place under the same roof! 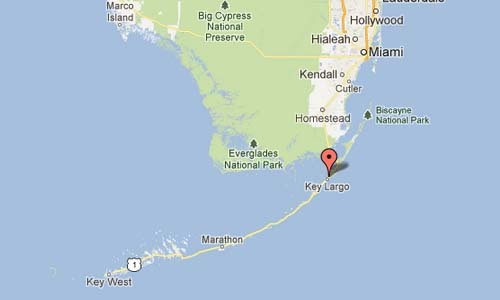 Key Largo is an island in the upper Florida Keys archipelago and, at 53 km long, the largest of the Keys. Key Largo is a popular tourist destination, and calls itself the “Diving Capital of the World” because the living coral reef a few miles offshore attracts thousands of scuba divers and sport-fishing enthusiasts. More information at www.thefloridakeys-keywest.com and www.upperkeyssailingclub.com.